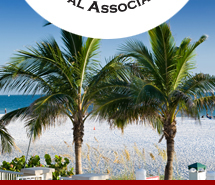 We established Southwest Florida Paralegal Association, Inc. SWFPA in 1997 to provide local paralegals with a network of legal resource information, educational information, and information on professional opportunities. Our primary goals are to uphold the ethical, professional, and personal standards set forth by NALA (the National Association of Legal Assistants, Inc.), to increase paralegal awareness by encouraging member participation in community activities, and to offer membership services at a reasonable rate. We have created a strong local organization, and we are achieving our goals by channeling the energies of our members who work together to provide some needed resources and information to our local paralegals. We have created this site as a resource tool for our members and for any other paralegals who wish to use it.